I sometimes get inspired by looking at art by other artists.I made a drawing of my own cartoon character Horus Hippo, inspired by a pastel drawing of Disney artist James Bodrero. In this video I show a pastel drawing by Disney artist James Bodrero he made for Fantasia. James Bodrero was a visual development artist. He made preliminary sketches and pastels for inspiration. One pastel drawing struck me the most. A drawing of the wine god Bacchus on an easel. I have a lot of books about animation and I found this drawing in the book Before the Animation Begins by John Canemaker. 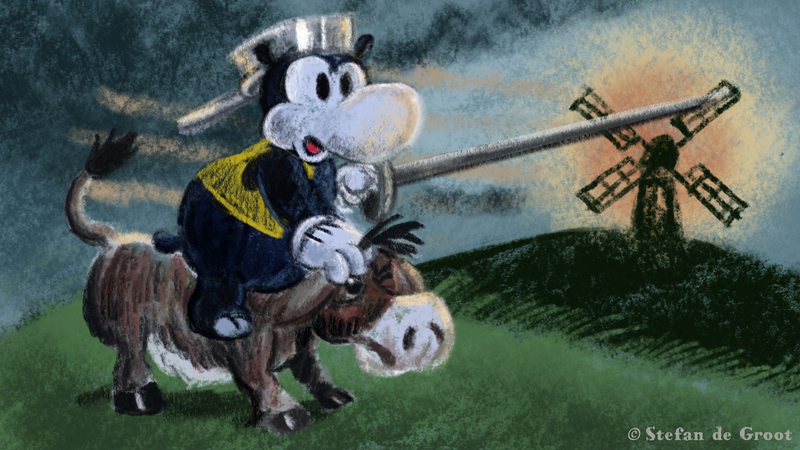 Based on the drawing I made my own drawing of my own cartoon character Horus Hippo as Don Quichotte. The artists at the Walt Disney studios were inspired by other artists as well. For Fantasia they looked at the art of T.S. Sullivant and Heinrich Kley. 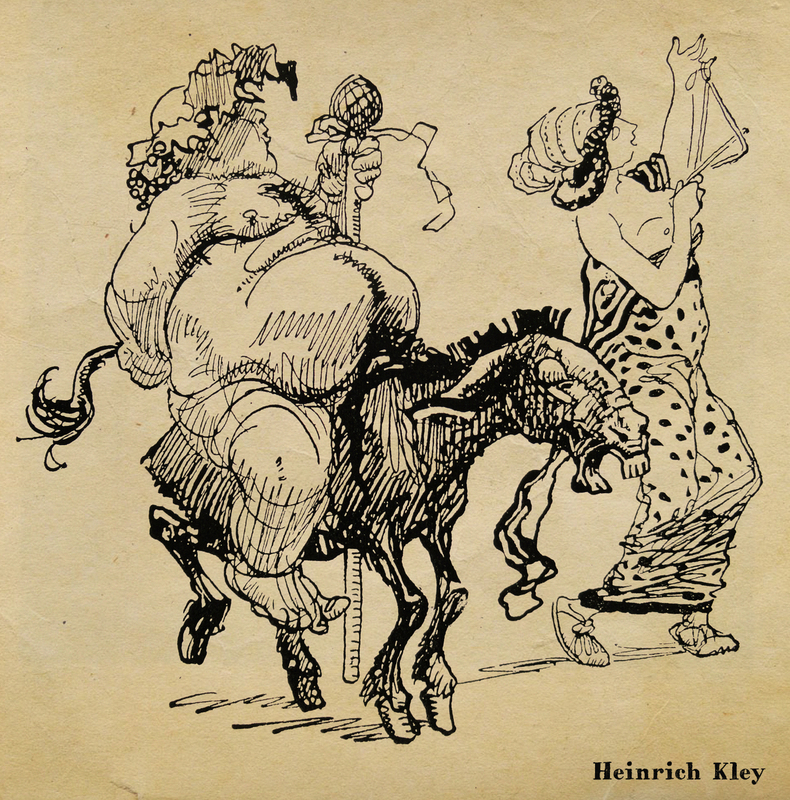 I looked for images of Heinrich Kley and could really see where they got their inspiration from. The German illustrator Heinrich Kley made amazing illustrations of animals in human poses and animals dancing. Elephants and alligators! When I looked further I came across an illustration of Bacchus on a donkey. 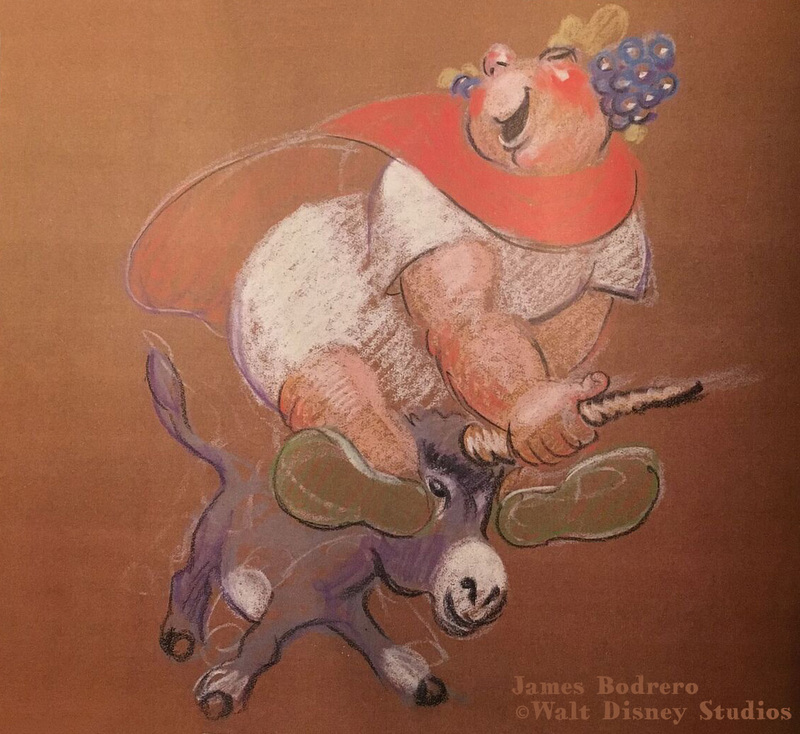 James Bodrero must have seen this same image when he designed his version of Bacchus on a donkey.